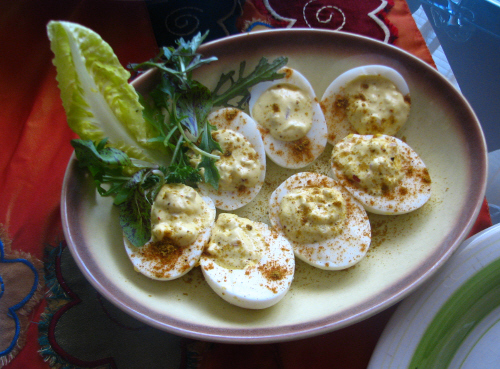 Deviled eggs are one of those classic dishes that many of us remember from childhood. Here is an updated version that brings some zing to the dish. Replacing the traditional mayonnaise with yogurt also brings down the fat count — but not the taste, I guarantee it! Slice eggs carefully in half and remove the yolks to a medium bowl. Using a fork, mash the yolks until smooth. Add the remaining ingredients, and blend until mixed well. Taste mixture and add more salt and/or Hurricane Curry to your taste. Blend well and carefully spoon into egg halves (or, you can pipe the filling with a pastry bag, or a plastic sandwich bag with the corner snipped off). Refrigerate for at least 30 minutes, to allow the filling to set. When ready to serve, place on a pretty serving dish. Dust edges very lightly with Hurricane Curry, and garnish with fresh parsley or mint if desired. * you can use a mixture of 2/3 plain yogurt and 1/3 peach or mango yogurt, for a slightly more exotic taste. © 2011 Your Spice of Life ~ an original recipe! 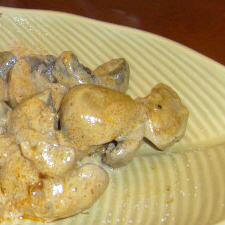 This is an easy, elegant appetizer that is reminiscent of a traditional stroganoff recipe. 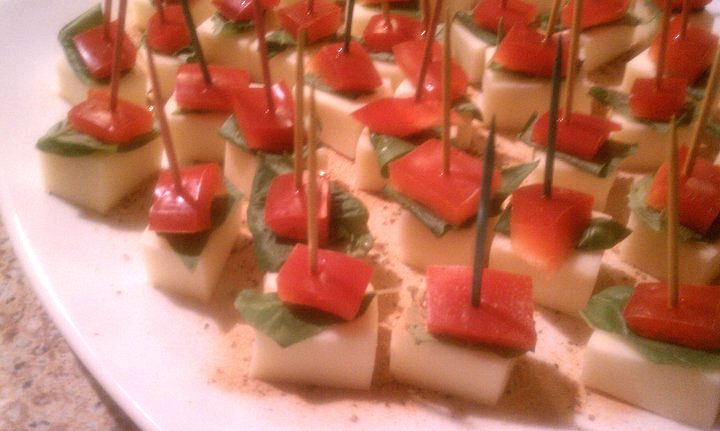 Serve on toothpicks for an appetizer, or as a side dish. In a large sautee pan, sautee the mushrooms in olive oil until softened but still firm. Add the Racy Paprika. When ready to serve, lower the heat and stir in 1 cup sour cream (thickened plain yogurt may be substituted for the sour cream). Stir well to coat the mushrooms. Taste for seasoning; add sea salt and/or slightly more Racy Paprika according to your preference. To serve: skewer one mushroom with 2 strips of red pepper onto a toothpick. Arrange on an attractive plate, and serve immediately.